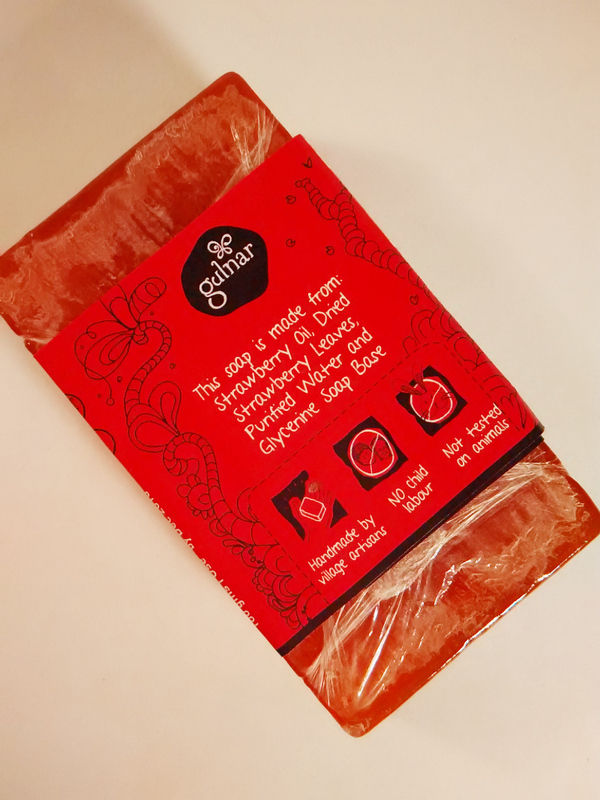 I got introduced to Gulnar soaps when sometime back a friend from Ahmedabad who was visiting us, gifted us a box of Gulnar soaps that had three flavors: coconut, orange and strawberry. 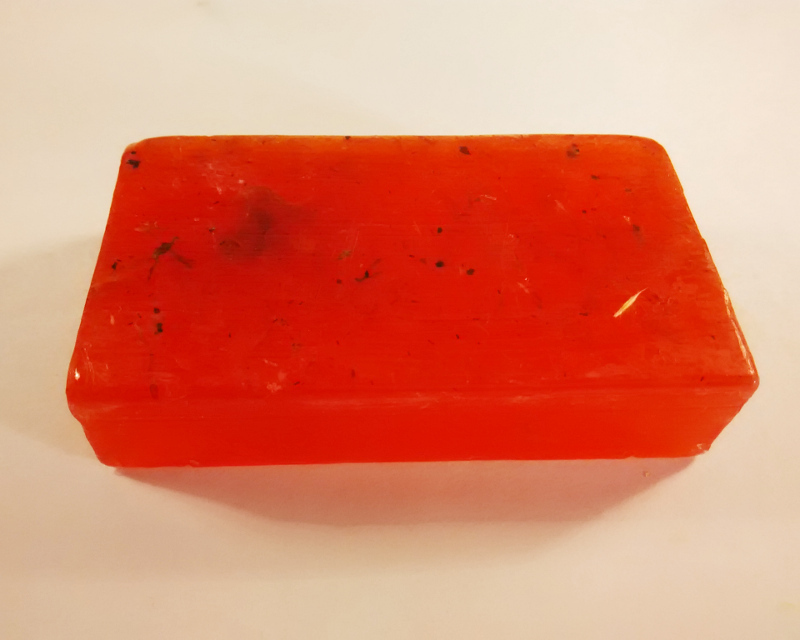 I’ve always been kind of apprehensive about handmade soaps, because I thought they were no different from regular soap bars and were just using the word ‘handmade’ to sell for a higher price and look exclusive. Oh boy! Was I wrong! Not only are they ‘really’ handmade, but are also extremely mild on the skin. And I know it so well because I’m allergic to regular soap bars. They give me itchy rashes so over time I had moved to shower gels. They are milder but not mild enough, so they too give me a rash at times. But Gulnar soaps are so awesome! This also made me try other handmade soaps which are also pretty good. 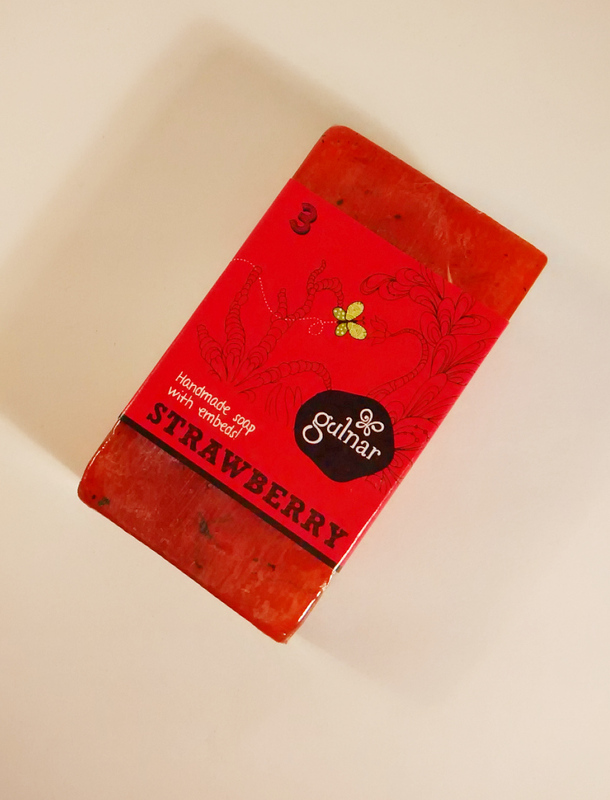 But for now, let me talk about Gulnar, the first handmade soap I ever used and fell in love with. 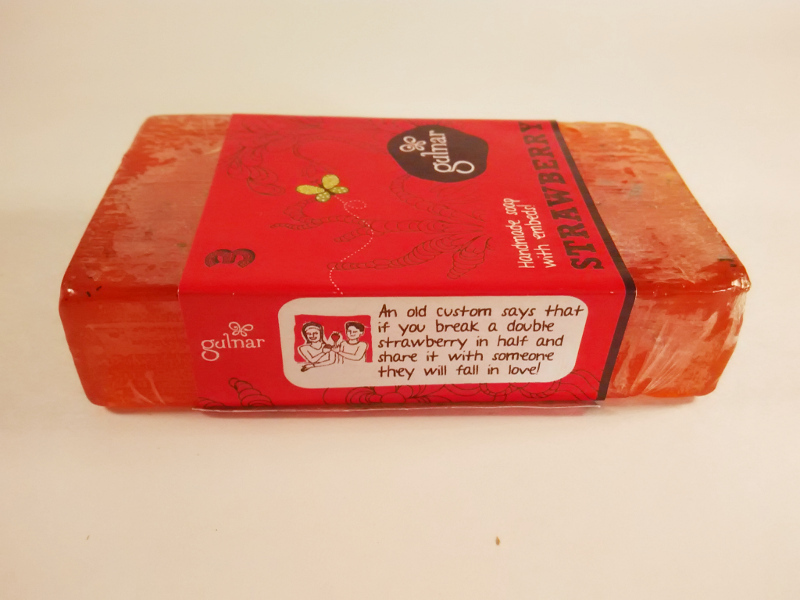 Gulnar soap is a semi-transparent red colored bar with strawberry embeds and comes in transparent packaging. It smells so edible, I could so eat it. No really. It smells of fresh tangy strawberries. It does not lather much but is highly effective in cleansing the skin. It did not irritate or dry my skin at all and is the best bet if you have sensitive skin like myself. Works great for my medium to dry skin. Its a safe, natural and delicious soap and makes me feel great about what I’m putting on my skin unlike your regular bars.